Leave a comment on THIS post through Tuesday, November 28, 2017 to be entered in the DRAWING for a copy of the book below. If you mention in your comment that you’re a follower (see in the left sidebar “Join This Site” and “Follow by Email”), I'll add your name a second time in the drawing. U.S. mailing address required to receive a paper book. I may or may not have read books offered for giveaways. The mention and giveaway of books on my blog does not in any way indicate any manner of my endorsement of said books. Read book giveaway details at Disclaimers. To provide you security, please leave your email address like this: johnATyahooDOTcom. Winner announced in next Thursday's blog post. Rose has six fiction books published now, and this was her first fiction anthology for Barbour. Can you tell Christmas books are her favorites? A retired schoolteacher who has been happily married to her college sweetheart for over four decades, she is also mother to three grown children and their spouses and grandmother to five lovely, lively kids! 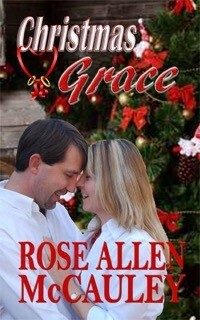 Please enjoy the following article about the story behind Rose’s novel, Christmas Grace. This story is very dear to my heart! The idea came to me while standing in line at a funeral visitation for my oldest daughter’s best friend in high school who died a few years later. Penny had developed kidney failure, and that led to her death from heart complications, leaving a small daughter and many loving friends behind. So, I wanted to write a happy ending to the story, which led to me writing this book. I even sent a copy to Penny’s daughter who said she enjoyed it. The book was written in memory of Penny Sadler Prows and is dedicated to my daughter Christy McCauley Kinney and her husband Chris Kinney, the couple who grace the beautiful cover designed by Delia Latham! Chris is also the name of the fictional hero in the book who loved both women. He and Grace Buchanan grew up on the same street. Grace’s best friend all through school was Terrie whom Chris fell in love with while in high school. They were called the “Three Musketeers” until Grace noticed Terrie started sitting in the front seat when Chris would pick them up, and she was okay with that. Chris had always been more like a brother to her anyway. Grace was the maid of honor in their wedding then moved away to Chicago to get a degree. When she heard about Terrie’s diagnosis five years after their graduation, Grace came back to Gatlinburg and was tested to be a kidney donor for Terrie, but hers didn’t match. Soon, she came back for Terrie’s funeral, then stayed in Chicago for the next five years except for short trips home to see her parents. My story begins with Grace on a plane to Gatlinburg for her tenth high school reunion where she runs into Chris who travels a lot for his work. He gives her a ride home, and they spend several evenings together while meeting with the reunion committee. They each feel some unease at first, then both realize they are attracted to their friend from childhood. But, will they be betraying the love of their other best friend and Chris’ wife’s memory? This is a romance, so you know it will have a happy ending, but there is a lot they have to sort through and live through before they can make that decision. If you don’t win this book, I hope you will order a kindle or print version from Amazon. This book would be a great read to get you in the Christmas spirit. I read Christmas books the whole month of December. How about you? Welcome, Rose. Where can readers find you online? Where can readers purchase Christmas Grace? Rose, thanks for visiting with my readers and me. Rose is offering winner’s choice of a paperback or eBook copy of Christmas Grace to one commenter to this blog post. Commenters, to enter the book drawing please leave your comment on this post through November 28, 2017 and remember to leave your email address so I can contact you if you’re the winner. The winner of last Thursday’s blog post for a copy of Puzzle House by Lillian Duncan is Carol S. I’ll email you. Thanks all for commenting. Watch for more book giveaways. Diana, so glad you enjoy my blog. Thanks for following and for leaving your comment! I am just starting to get into contemporary stories. I love books about Christmas. Lori, thanks for leaving your comment and for following my blog! Thanks for another great book possibility. Nancy, you're welcome. Thanks for following my blog and for commenting! 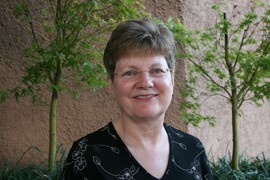 Sonja, thanks for stopping by to comment and for following my blog! Thanks for hosting me Jo! Love Christmas books too like many of your followers. You are a new to me author, but your Christmas book sounds fantastic. Thank you for the interview & giveaway opportunity. You're welcome.Glad you found a new-to-you author here. Thanks for commenting. Melanie, I appreciate your following my blog! Thanks for commenting.